A smile at the beauty of dogs! This was seen on a photography forum that I drop into. It’s short but still immensely special! Have a wonderful day all of you! The post on Thursday exploring why dogs like to roll in smelly things prompted me to see what I could find on YouTube. Now if that doesn’t win the prize for the best dog rolling in mud award then I don’t know what would. But in my search on YouTube, I also came across the following that was too delightful not to include in today’s post. Fondest wishes to you all. A lesson in bridging divides. From our dogs, of course! You all have a great weekend. Don’t you just love these wonderful animals! Speaking of dogs, today little Pedy has been with us for just one week. It has been the most delightful experience one could imagine and here are a couple of photographs taken yesterday afternoon to celebrate his arrival. Our inner and outer worlds. To awaken one’s true self, one must awaken the entire world. As you may gather from the sub-heading above, this is not a typical post today! (If there is a typical post in this place!) In fact, I think this is the first time in over five years of publishing Learning from Dogs that I have devoted a post solely to a full-length film. But the film so perfectly picks up the theme of yesterday’s post, Quietening one’s self down, that it was too good an opportunity to miss. 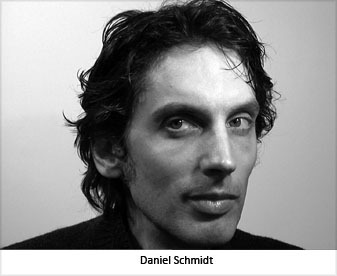 Inner Worlds was created by Canadian film maker, musician and meditation teacher Daniel Schmidt. The film could be described as the external reflection of his own adventures in meditation. As Daniel came to meditative insights, he realized that these same insights were discovered over and over in spiritual traditions around the world and that all traditions share a common mystical underpinning. He realized that it is this core experience that connects us not only to the mysterious source of all creation, but to each other as well. Along with his wife Eva, Daniel currently lives in a log home tucked away in a forest of tall pine trees located in Ontario, Canada. It is in this beautiful setting where they run a meditation and yoga center called Breathe True Yoga www.breathetrue.com. Daniel has studied meditation from the traditions of Buddhism, Taoism, the Yogic traditions of India, as well as the mystical traditions of various cultures, and has come to his own teaching method helping point people towards their own inner wisdom and knowledge. “Meditation is not so much a technique to master as it is a re-orientation of the heart; a selfless act of love and surrender into the mystery and stillness at the core of our being“. Daniel has always had a strong life connection with sound and music. He has been a composer for over 20 years with an extensive library of music venturing into many genres and styles, and he is the President and CEO of REM Publishing Ltd. Music is not something to be comprehended merely with the hearing faculty. The vibratory nature of the universe is understood when we recognize that everything is music. Eva has studied and teaches chakra yoga, hatha yoga, meditation and healing through expressive arts. She has integrated yogic traditions from around the world and attended the Pyramid Yoga Center in Thailand for extensive yoga training. 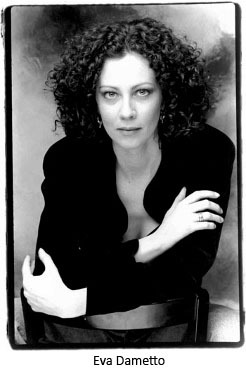 Eva is a sound healer, artist and was a strong creative force in the editing room as “Inner Worlds” was being created. Together Dan and Eva were the Shiva and Shakti forces that birthed the film into the world. It became clear during the making of the film that Inner Worlds Outer Worlds had to be released for free for the benefit of all beings. In the ancient traditions the dharma or “the truth” was always taught freely and never for personal gain or profit in order to preserve the purity of the teachings. It is Daniel and Eva’s belief that to awaken one’s true self, one must awaken the entire world. Daniel and Eva have started the Awaken the World initiative www.awakentheworld.com to bring the ancient knowledge back to the earth in order to restore balance and harmony on the planet. If you want to dip into the film then here’s the trailer. But many, including Jean and me, will want to watch the full film. Inner Worlds could be described as the external reflection of Daniel Schmidt’s own adventures in meditation. Akasha is the unmanifested, the “nothing” or emptiness which fills the vacuum of space. As Einstein realized, empty space is not really empty. Saints, sages and yogis who have looked within themselves have also realized that within the emptiness is unfathomable power, a web of information or energy which connects all things. The Spiral. The Pythagorean philosopher Plato hinted enigmatically that there was a golden key that unified all of the mysteries of the universe. The golden key is the intelligence of the logos, the source of the primordial om. One could say that it is the mind of God. The source of this divine symmetry is the greatest mystery of our existence. The Serpent and the Lotus. The spiral has often been represented by the snake, the downward current, while the bird or blooming lotus flower has represented the upward current or transcendence.The ancient traditions taught that a human being can become a bridge extending from the outer to the inner, from gross to subtle, from the lower chakras to the higher chakras. Beyond Thinking. Life, liberty and the pursuit of happiness. We live our lives pursuing happiness “out there” as if it is a commodity. We have become slaves to our own desires and craving. Happiness isn’t something that can be pursued or purchased like a cheap suit. To close, let me offer these links. The Inner Worlds Movie website is here. All 4 parts of the film can be found at www.innerworldsmovie.com. Music from the film can be found at www.spiritlegend.com. It is Daniel and Eva’s belief that to awaken one’s true self, one must awaken the entire world. This strikes me as very pertinent, for I see a world sorely in need of a new awakening. Yes, I know it’s an advertisement for Beneful! A number of things conspired yesterday to make the spare hours disappear. Including time to write a post for this place. However, during the day Chris Snuggs sent me the following video. Don’t know about you, but I found the ‘machine’ made me smile! Climate Change and Humanity: Postscript. A personal viewpoint after reading Tom’s essay Is Climate Change a Crime Against Humanity? So here’s a question I’d like any of you living in or visiting Wyoming to ask the former vice president, should you run into him in a state that’s notoriously thin on population: How would he feel about acting preventively, if instead of a 1% chance that some country with weapons of mass destruction might use them against us, there was at least a 95% — and likely as not a 100% — chance of them being set off on our soil? Let’s be conservative, since the question is being posed to a well-known neoconservative. Ask him whether he would be in favor of pursuing the 95% doctrine the way he was the 1% version. After all, thanks to a grim report in 2013 from the Intergovernmental Panel on Climate Change, we know that there is now a 95% -100% likelihood that “human influence has been the dominant cause of the observed warming [of the planet] since the mid-20th century.” We know as well that the warming of the planet — thanks to the fossil fuel system we live by and the greenhouse gases it deposits in the atmosphere — is already doing real damage to our world and specifically to the United States, as a recent scientific report released by the White House made clear. We also know, with grimly reasonable certainty, what kinds of damage those 95% -100% odds are likely to translate into in the decades, and even centuries, to come if nothing changes radically: a temperature rise by century’s end that could exceed 10 degrees Fahrenheit, cascading species extinctions, staggeringly severe droughts across larger parts of the planet (as in the present long-term drought in the American West and Southwest), far more severe rainfall across other areas, more intense storms causing far greater damage, devastating heat waves on a scale no one in human history has ever experienced, masses of refugees, rising global food prices, and among other catastrophes on the human agenda, rising sea levels that will drown coastal areas of the planet. Here’s an interview of Elizabeth Kolbert taken from the Democracy Now programme. It’s a tad under 20 minutes so easy to put aside a little of your time to watch it. February 2014 on Democracy Now! Elizabeth Kolbert, is well known for her reporting on global warming as a staff writer at The New Yorker magazine, which led her to investigate climate species extinction. Her new book is The Sixth Extinction: An Unnatural History. In 2006, she wrote Field Notes from a Catastrophe: Man, Nature, and Climate Change. Make no mistake, that short video interview doesn’t pull any punches. Just as Kolbert’s book. It is very tempting to want to hide, to close one’s ears and eyes and pretend it’s all a bad dream and, soon, we will awaken to a bright, new dawn. Elsie Bowen-Dodoo. Living life with a purpose. Persevering to inspire all races. I write to inspire people hoping that they reading my articles and stuff will be touched to do something positive in their lives. We really can all make this world a better place to live in. Talent should not be wasted. 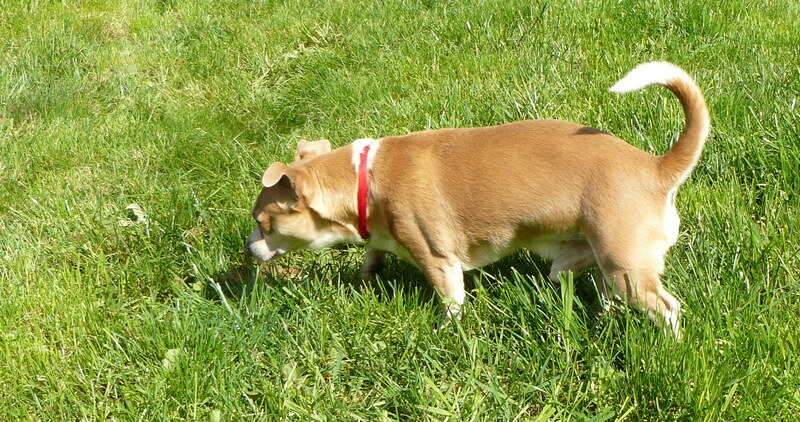 This is the picture on Elsie’s home page. So here’s my take on where we, as in all mankind, are at. We have to turn our backs on growth, greed and materialism. Each of us must place caring for our planet our highest priority in life. Each of us must be alive to making a positive difference. Being true to what we know is right will set us free. This will also create ripples of positive energy that will set others free. That is the only sustainable way to go. Let me close by returning to dogs. 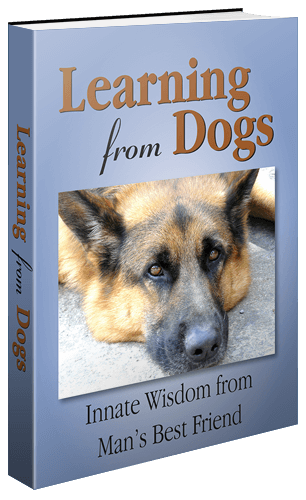 After all this blog is called Learning from Dogs! By recognising, of course, that these are challenging times. As we are incessantly reminded by the drumbeat of the doom-and-gloom news industry every hour, frequently every half-hour, throughout the day. A symphony of negative energy. Yet right next to us is a world of positive energy. The world of dogs. 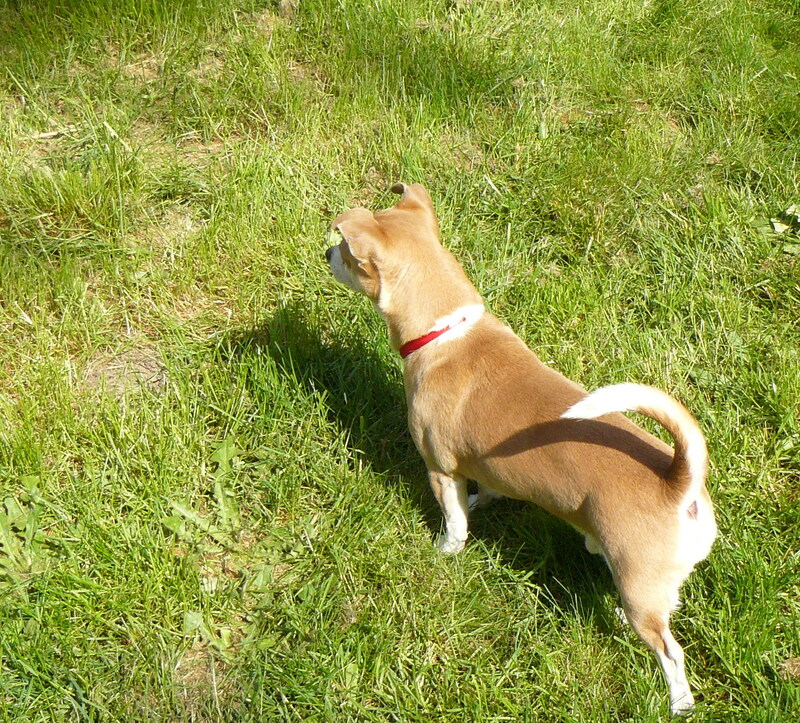 A canine world full of love and trust, playfulness and relaxation. A way of living that is both clear and straightforward; albeit far from being simple. As anyone will know who has seen the way dogs interact with each other and with us humans. In other words, dogs offer endless examples of positive behaviours. The wonderful power of compassion for self, and others, and of loving joy. The way to live that we humans crave for. A life full of hope and positive energy that keeps the power of negativity at bay. That is the only way forward! Oliver, Cleo and Hazel joyfully playing together. The return of Monty Python. It’s been very big news so I’m sure you have heard that after many years of absence Monty Python has returned. Here’s their recent Press Conference. Highlights from the Monty Python Live (mostly) press conference in London, on the day before their reunion shows at London’s O2 Arena kick off. Terry Jones, Michael Palin, Terry Gilliam, Eric Idle and John Cleese answer questions from the press about the rehearsals, the live show and much more. New videos will be uploaded every Monday! Too many classics to choose from but this remains one of my favourites! So here’s hoping you can enjoy this day wherever you are and giggle a little about us Brits and our strange sense of humour! Having yourself as your best friend. The power of having a great friendship – with yourself! Oh, it pains me to read your post. 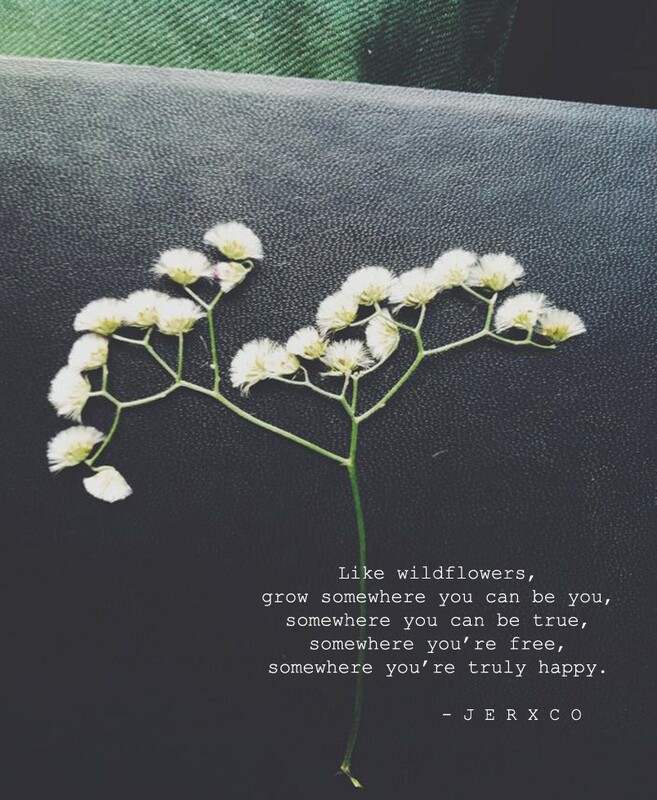 You are such an open, honest person; well that’s what comes across through your writings. Knowing and loving ourself is the only worthwhile journey of our life. For without being at peace with who we are, we will struggle to be at peace with others. Kimberley published another post the following day, friend and foe, that again struck me as being sad. Read it and see if you agree with me. After reading both those poems I ‘threatened’ Kimberley that I would write a post on becoming friends with oneself. Here it is. Adding immediately that I’m drawing heavily on a conversation that Jon Lavin and I had a few months ago; Jon’s background can be looked up over at The People Workshop. Jon is the professional psychotherapist – I am not! What we hear and what we say are both modified, frequently unconsciously, by past events, experiences and trauma. That being the case, then it is key, critically so, that we achieve the best possible self-awareness. Because it is only through an understanding of our past that we come to learn of our sensitivities and our associated ‘tender spots’ and their potential for ‘pulling our strings’. Here’s a personal story. In 1956, when I was 12, I experienced a trauma that was interpreted by my consciousness as emotional rejection. By the age of 14 that sensitivity to rejection had descended into my subconscious. For fifty years, that sensitivity remained hidden yet continued to influence my life in many unseen ways, not all of them negatively by a long measure. In 2007 a period of counselling revealed that hidden emotional rejection; brought it to the surface. It changed beyond imagination how I felt, how I behaved, how I was. Nonetheless, that sensitivity to rejection is still there, albeit now visible. Thus when I hear or experience something that tickles that sensitivity I still react. But because I can now see and feel myself reacting, I can sidestep the emotional strings. OK, but what does better self-awareness not achieve? Knowing better who we are delivers no cleansing of our past, no removal of the capacity of that past to cause pain. Those psychological hooks and impulses are still alive and well! So what’s the point of knowing better who we are if that greater self-awareness doesn’t remove those hooks and impulses that have the capacity to cause us pain? The answer to that last question is this. Greater self-awareness brings about control by the self of the self! We are able to start the slow process of gaining trust in ourselves. Trust; as in emotional trust. Being able to emotionally trust ourself is a central theme in psychotherapy solutions. When we trust the emotional person that we are then we have achieved a liking for the person that we are. Bringing to mind the truism that you cannot like another if you do not like yourself. Like = Love, of course. So two things to offer to close the post. 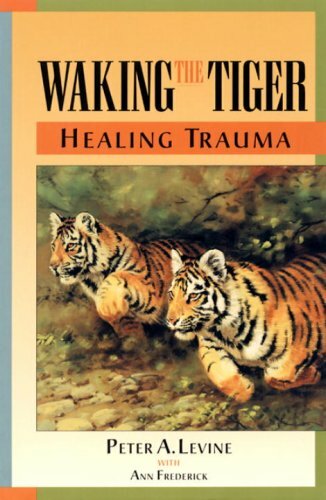 The first is that if you have any suspicion, or know for certain, that you have experienced trauma in your past life, especially in your formative years then the book Waking The Tiger by Peter A. Levine is a valuable resource. You can learn more about the book including reading the first chapter on the Somatic Experiencing website. The following is a short, twenty-minute, documentary film about fear. Do watch it. The message that we are so profoundly a product of our past is beautifully presented. Yes, I know it’s a car advert …. but I defy you to watch this and not feel all googly inside. You all have a great week-end; especially the animals out there!